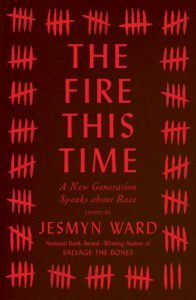 I am writing about the Fire This Time: A New Generation Speaks about Race, edited by Jesmyn Ward, because I want folks to read it. But I barely know what to say. When I finished “Message to My Daughters” by Edwidge Danticat, the final essay in the book, I literally kissed the cover and then held the book over my heart. Not since Homegirls has a book moved me so much. The lives opened up on the pages for the reader resonate with me as I sit in the comfort and safety of my white skin. The writers’ creativity and strength and insight into our various conditions rise with the flames of their words. Each essay different from the others. No academic jargon. Full on truth and unexpected vulnerability. The focus of the first section, Legacy, is the past. Writers insist on the need to know our history. For descendants of enslaved Africans, even genealogy is difficult to track. Burial grounds have been paved over, the spaces relegated to black bodies, in both north and south, left to return to nature. And African-Americans have been excluded from American history. What history there is has been revised, glossed over, even fabricated. In “White Rage” Carol Anderson considers the sanitized version of emancipation and progress toward civil rights that covers over the deep resentment of white people in regard to black freedom. Laying out specific examples of white reaction – backlash – to African-American advancement, she argues that Ferguson was not about black riots and anger but about white rage. In Reckoning, the second section, authors question what it is to be black. Is blackness a feeling? Revealed in how one is treated? Is it about belonging or about exclusion? Is it legislated? Is it cultural? Claudia Rankin recounts how her friend, who had just birthed a son, said her first thought was “I’ve got to get him out of this country,” (pg 145), invoking all those black mothers who have lost their sons. Another friend who has a son says “The condition of Black life is one of mourning,” which becomes the title of Rankin’s essay. Kevin Young’s sharp-toothed humor in “Blacker Than Thou” accompanied vignettes where racism blind-sided him at his most unprotected moments. The essays in this section are deeply personal stories exploring the daily acts, interactions, thoughts, and feelings that make up blackness. All my efforts – educational, activist, organizational – don’t change the fact that in this country my black friends, and all those black Americans I don’t know personally, suffer constant daily assaults on their beauty, their intelligence, their home-bodyness. I am able to go about my life without fear. But this book is not about fear, although fear is often a theme. This book is about black racial experience at this moment: the Black Lives Matter moment, the news of police killings spread through social media moment, living with the awareness that injustice perseveres and this is not a post-racial time moment. Every writer in this book is a writer I want to read more of. I will be looking up each name at the library, searching out writings on the internet, buying books at my local bookstores. This collection is a gift that I accept with the understanding that I commit to feeding the fire and spreading its light and heat. 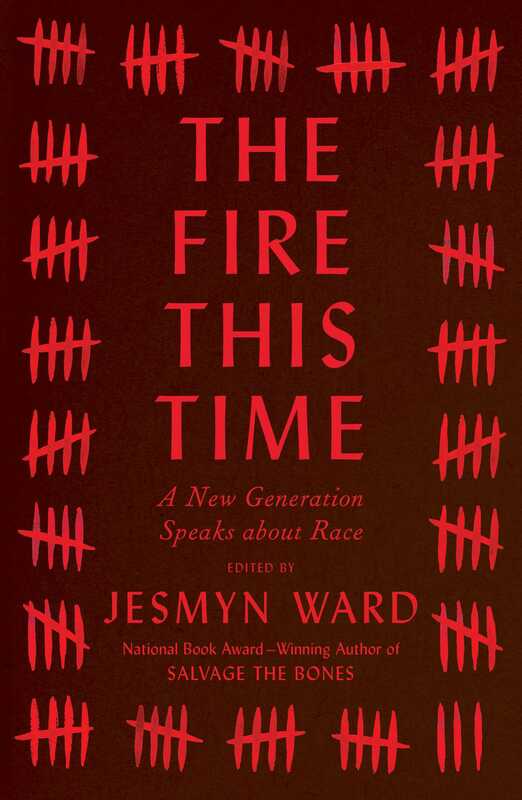 The Fire This Time: A New Generation Speaks about Race, edited by Jesmyn Ward. Scribner (2016).